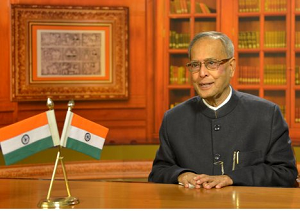 On the eve of our 67th Independence Day, Mr. Pranab Mukherjee, the Hon’ble President called upon the nation. His speech was passionate and he touched upon several nascent issues that threaten our country in general and democracy in particular. He began his address with several references to Mahatma Gandhi, the father of our nation and his teachings, specially a mix of spirituality in politics which everybody has conveniently forgotten. The President gave emphasis to face the challenge of corruption that has eroded our integrity and national character. Commitment to the nation on the part of the politician is another warning by him. He felt that there is a limit to patience to deal with border issues. He extolled the Armed Forces and others in Uttarakhand relief operations. He touched upon several national issues and the supreme sacrifices of our freedom fighters to give us the freedom. It was in the fitness of things that he referred to Bhagawat Gita to conclude his speech to inspire the fellow citizens. We in India hold Gandhi and the Gita with great reverence. Therefore, will our politicians cutting across the party lines pay heed to the President and make the required course corrections so that corruption in public life does not raise its ugly head. Instead of pointing fingers at each other will they move forward and lead India in right direction so that in the comity of nations we walk ‘holding our heads high’ and ‘celebrate democracy’. Independence Day Greetings to all our citizens.